After being rattled by both the Manchester clubs, it was high time Sarri's Chelsea replied to all the critics and the boos from the fans through a solid performance on the pitch. And what better than progressing in their Europa League campaign, which seems the only hope now to put a bright spot on a dark season for the Londoners. After a 2-1 win away from home against Swedish club Malmo FF, it was evident that the second leg last night was going to be a cakewalk for the Blues, but it was a matter of earning back the loyalty from the supporters after falling to embarrassing defeats to Manchester City and Manchester United. 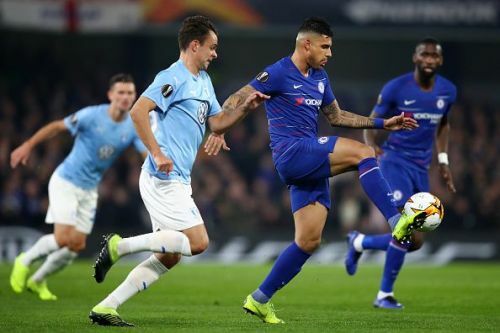 Goals from Olivier Giroud, Ross Barkley and Callum Hudson-Odoi, all of them coming in the second half sealed Malmo's Europa League season who were reduced to 10 men after defender Rasmus Bengtsson was shown a second yellow for his challenge on Emerson. This might have just given Maurizio Sarri a glimmer of hope for Chelsea's EFL Cup Final against Manchester City on Sunday. Let's look at the top 5 things we learnt from the win last night! The whole footballing world knows that Chelsea's biggest problem right now is its defence. All these years, even though Chelsea had bad seasons, they were due to mainly offensive problems like not having a perfect striker. But since the departure of John Terry and the downfall of Gary Cahill, Chelsea's defence just seems to be in shambles. 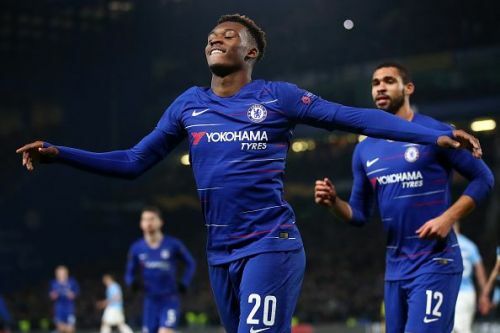 Last night probably was one of the best matches Chelsea had this season if we talk about their defence. Not to argue that the opposition was a weaker one and also there were times when the back four struggled in aerial duels, but they managed to keep a clean sheet at the end of the game. The two big changes Sarri made to the back four were Andreas Christensen coming in for David Luiz and Emerson coming in for Marcos Alonso. This was totally a tactical move from Sarri for resting David Luiz and Alonso, but Christensen and Emerson might have just given Sarri scratching his head due to their excellent display. Christensen is better than David Luiz on one on one situations as well as the Danish defender is still very young to grow to his best at the Stamford Bridge. Whereas Emerson is certainly faster than Alonso on the wing. Sarri should consider giving this back four set-up a chance in the upcoming Premier League games.